This colorless, odorless gas is the #1 causes of lung cancer for non-smokers. The EPA estimates that over 21 thousand lung cancer deaths can be attributed to it each year. That’s right. This #1 cause of lung cancer is naturally-occurring. The primary exposure is in the home. This slow and silent killer may take up residence in your guest room. But what about the children? Are they at increased risk? Radon is a naturally-occurring radioactive gas. It’s produced as the metal uranium decays. Uranium, in large, refined quantities, as you may be aware, is used to make nuclear material. Uranium isn’t rare. Very small amounts of uranium in the soil produce radon that you and I breathe every day. This might lead you to wonder. It’s natural. We’re exposed to it daily. How does radon become harmful? The answer is modern architectural methods. This once free-roaming gas becomes trapped in homes, especially those trying to keep the elements out. Because this invisible gas is heavier than oxygen and most other breathable air, it settles near the floor. Now, I ask you, who in your family spends the most time close to the floor? Are My Children At Increased Risk of Radon-Exposure? It is unknown how many cases of adult lung cancer could be traced back to their childhood home. Because radiation tends to act slowly, the true cause often goes unidentified. But I will tell you what we do know. Radon can cause radioactive damage much faster in children. A study performed in Denmark found that children in high radon homes were more likely to develop acute lymphoblastic leukemia. That’s the most common cancer in children. Science currently knows very little about what causes this often deadly childhood cancer of the blood. The results of the study were startling and scientifically-significant. Children in homes with mid-range exposure had a 21% higher risk of developing this form of cancer. Children in high radon homes had a 63% higher risk. In these cases, the adults in the home may be experiencing no symptoms. Other studies have shown that children are as much as 200% more likely to develop lung cancer from the same exposure level. If the same child is exposed to both radon and cigarette spoke they’re 20X more likely to develop cancer than a child exposed to radon alone. Why Is Radon More Dangerous to My Children? Children’s lungs are smaller and shaped a little differently compared with adults. Smaller doses of radon have a greater impact. Additionally, radon doesn’t mix well with the air. It tends to settle in a home near the floor where children and pets play. 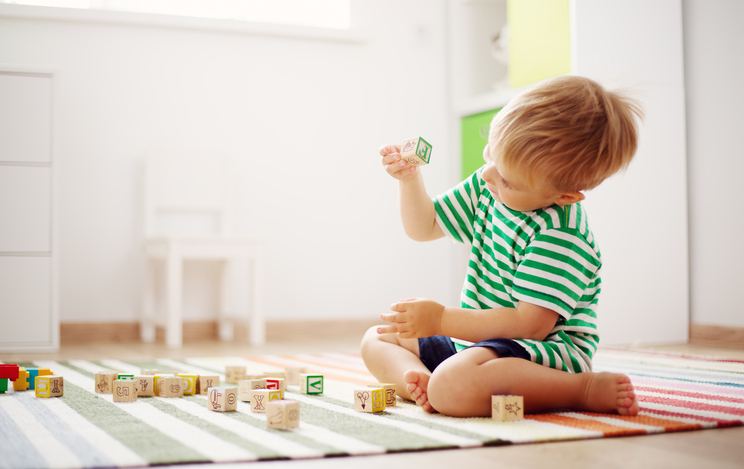 Is My Child at Risk of Radon-Exposure? The EPA (Environmental Protection Agency) created a map called EPA Radon Zones. It shows counties where radon levels are highest. While this data is old and limited, certain states have performed their own study and found more current information on radon results. In Colorado elevated radon levels have been found in all our counties. But note that your children are at risk with any home. How Do I Know If My Child Is Being Exposed to High Levels of Radon? There are common symptoms of lung issues, like coughing, shortness of breath and chest pain. But by the time these show up, the damage is already being done. The best thing you can do is get a home radon test today, if elevated levels of radon are identified then mitigate your home.